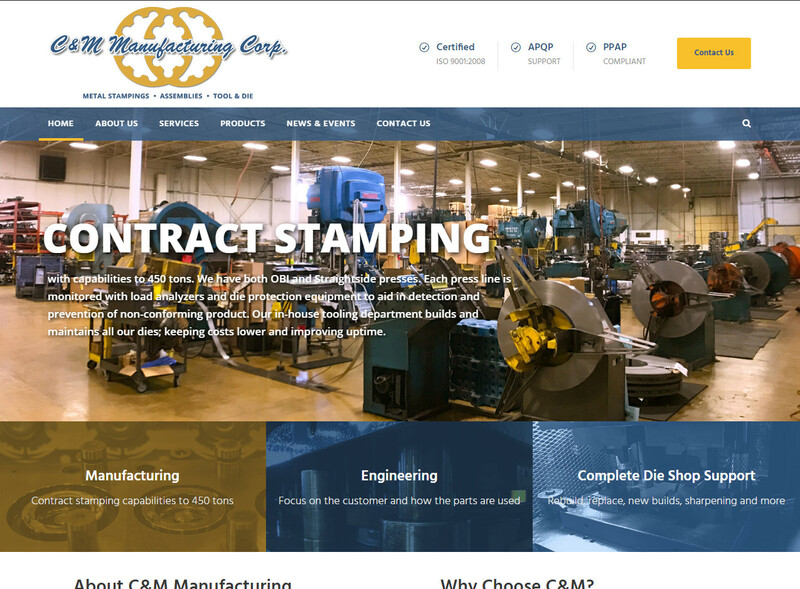 November 2018 – C&M Manufacturing Corp.
C&M Manufacturing is pleased to announce the launch of our new website! Here you can learn more about our capabilities, services and company. Additionally, be sure to keep an eye on our ‘News & Events’ section to learn about new service offerings, industry news and eanswers to frequently asked questions. We are an ISO 9001:2015 certified company with very high standards of on time delivery and quality products. Our commitment is to meet and exceed the needs of our customers, supplying both long and short run metal stampings, assemblies & prototypes for automotive and non-automotive use.